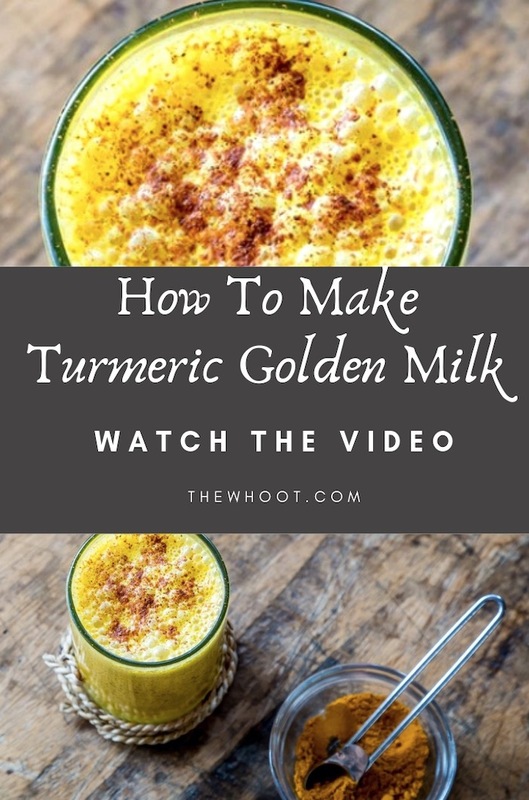 Turmeric is from the Ginger family and it comes with some impressive anti-inflammatory credentials and we show you how to make Turmeric Golden Milk. Watch the video now. Did you know that inflammation of the body is one of the biggest causes of disease? The word disease means your body is not at ease. When you remove the inflammation, you immediately move into regeneration mode and the healing can begin. Just look at the 50 amazing ways that Turmeric has been shown to be beneficial. This infographic from Develop Good Habits outlines a myriad of uses including from weight loss to thyroid, prevention of Cystic Fibrosis and also as an anti-asthma agent. Today we are sharing with you Golden Milk. It is revered for its anti-inflammatory properties. 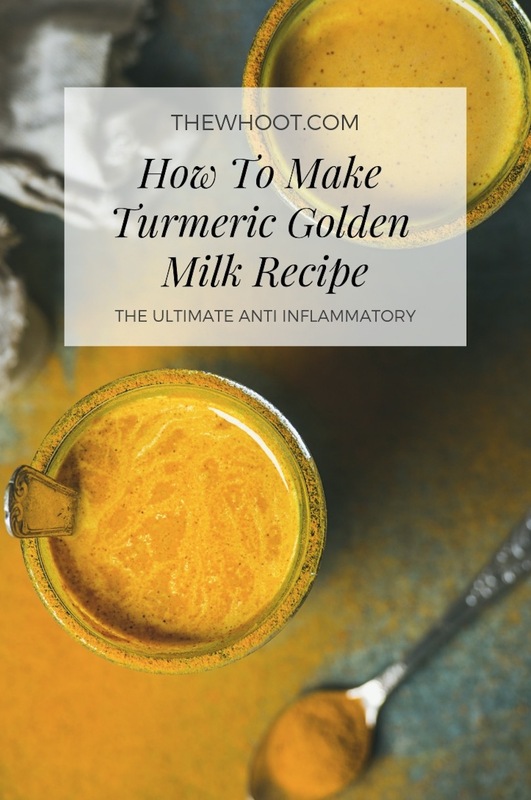 Given that Coffee is on the worst Inflammation foods list, this Turmeric Golden Milk may well be a great replacement and will certainly be a more sensible alternative. As you can see from the infographic from Mega Food above, the anti-inflammatory benefits of Turmeric are numerous. It fights free radicals, is good for joint pain which means if you suffer arthritis, this is something that should definitely be on your radar. It’s great for cleaning up your blood and your cholesterol which means that there’s a strong possibility that you will be able to rid your system of nasty prescription drugs. Rockin’ Robin says that she takes this Turmeric Golden Milk Recipe every day. It’s very healthy and a great addition to your diet. Place the almond milk in a saucepan along with the turmeric, cinnamon, and pepper. Heat over medium-low heat until the spices are dissolved about 5 minutes. Pour the milk through a strainer into a cup. Add the butter and stir to combine. Once the milk has cooled a bit then add the honey, stir and enjoy. If butter is not for you, many in our community have said that they have substituted Coconut Oil. See more anti-inflammatory suggestions here.